I cannot remember the last time I had one but I can still taste it. 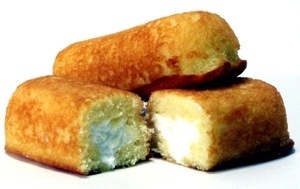 I can still feel the sponge cake in my mouth and the way too sweet cream filling. So bad on so many levels but so right in the culinary cavern in my mind.